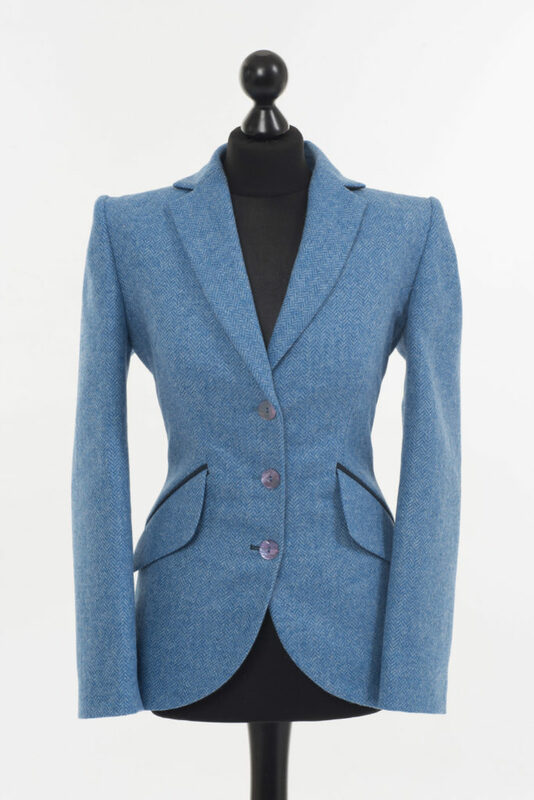 Our elegant ladies green trousers can be worn in both town and country and will match our castlebar coat in all colours; green, brown, blue and sligo coats in all colurs; blue, brown and grey. Arising from my dislike of shapeless breeks and ugly trousers, they are the perfect substitute. As beautiful ¾ length, the lower leg has 2 rows of buttons settings which can either be fitted to wear on the outside of your boots or the narrower setting when you are wearing high heel or pumps. 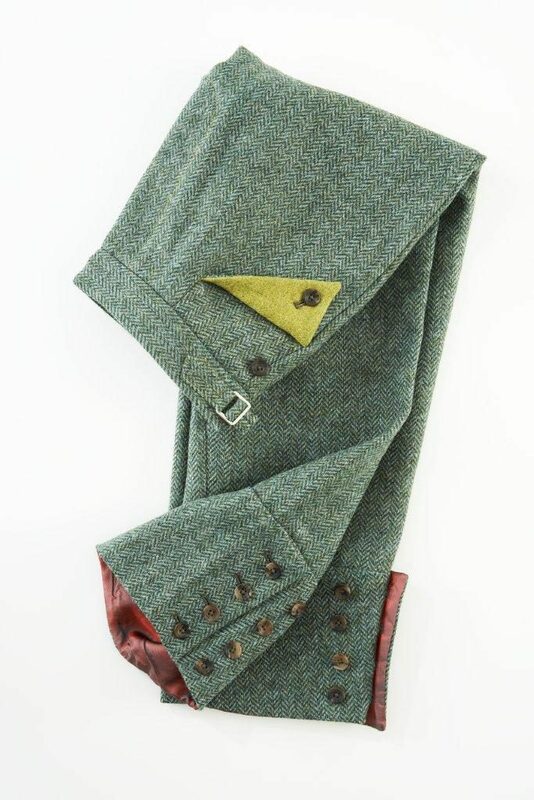 They come with side buckles and side pockets in pop colour and are available in both brown herringbone and green herringbone – both with chartreuse as pop colour. They are lined inside and soft and gentle on your skin. 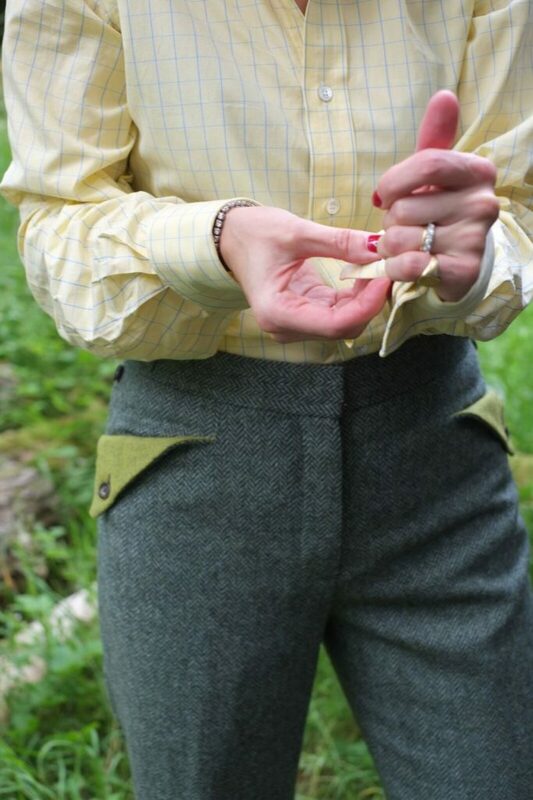 The idea behind the ladies trousers in green & brown is to take traditional shooting trousers and blow it sky-high. 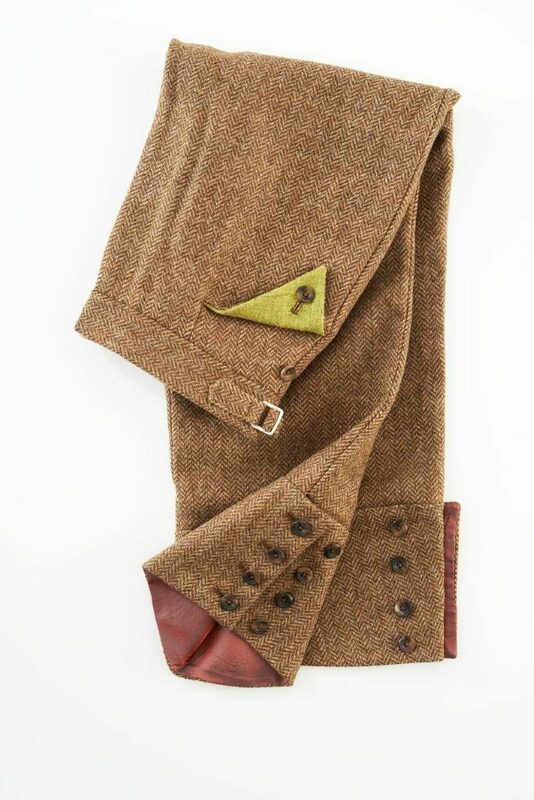 The ladies trousers in green has a stylish design and manage to be functional at the same time, which makes them perfect for both country days and city nights. 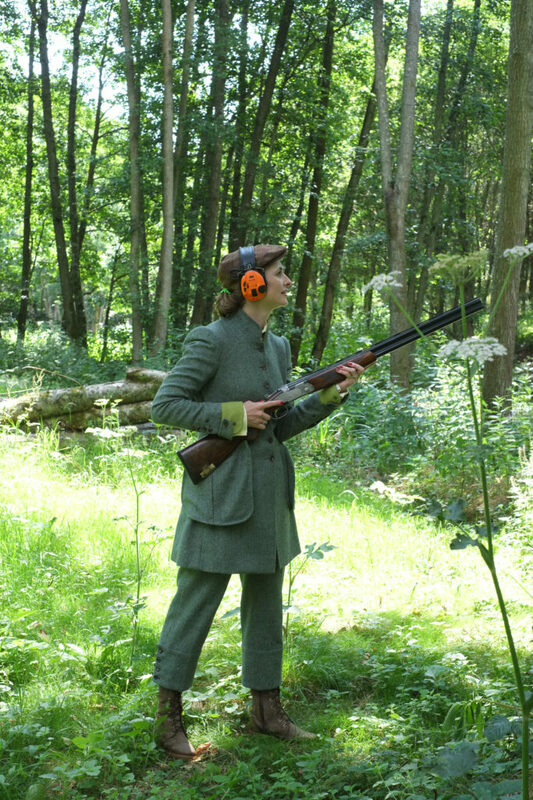 The ladies green trousers are functional and make them suitable for hunting and shooting. The ladies trousers in green have special features such as cross pockets with button fastening and contrast details, a zip fly, buckle and strap adjustment and eight-button adjustable cuff, which not only makes it functional but also stylish. 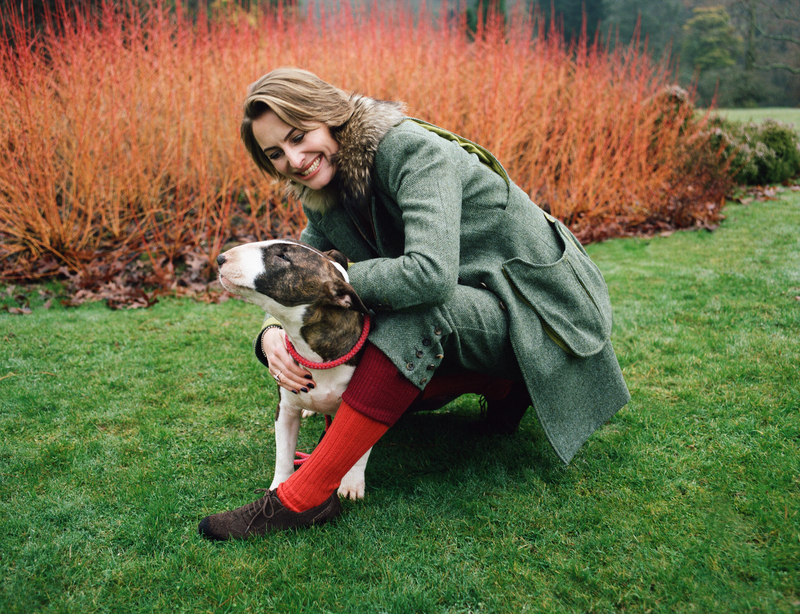 The ladies trousers in green have the perfect balance between comfort and style. At Lucan Fashion we say that the ladies green trousers are stylish enough to turn heads watering holes of the metropolis. The ladies green trousers make you look fashionable and fits both to country days and city nights. 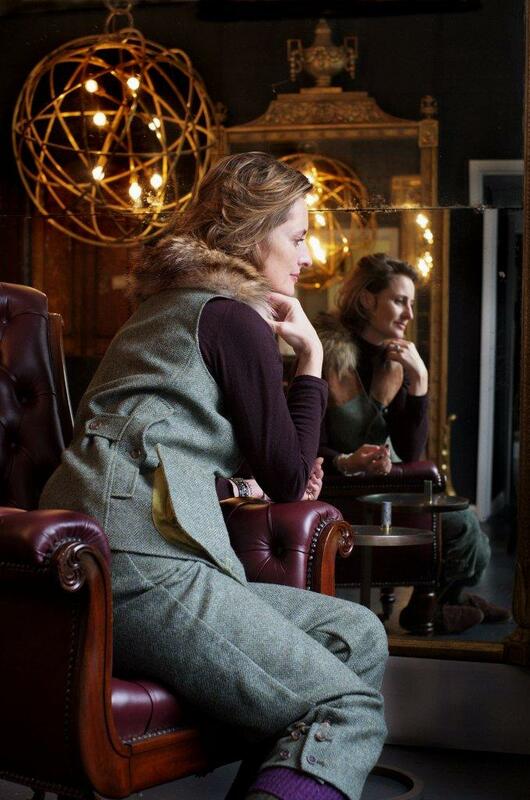 Matching the Lucan Fashion ladies green trousers together with other parts of the Lucan Fashion collection will create the perfect stylish look. The Lucan Fashion Lookbook has gathered pictures of Anne-Sophie Lucan carrying the Lucan Fashion collection. Take a look and get inspired. 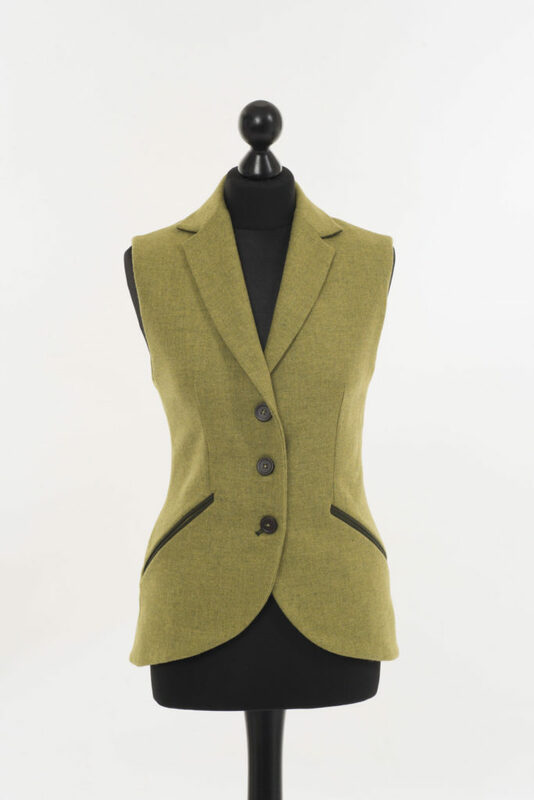 The ladies green trousers fit perfectly together with the green ladies vest, the green Sligo coat and matched together with the green flat cap will it create the perfect outfit. Matching the ladies green trousers together with one of our stylish capes in green, grey and brown are also common among customers. Our customers always recognise how stylish our flat caps are, so we recommend you to take a look at our different flat caps in; blue, green, Donegal & brown. 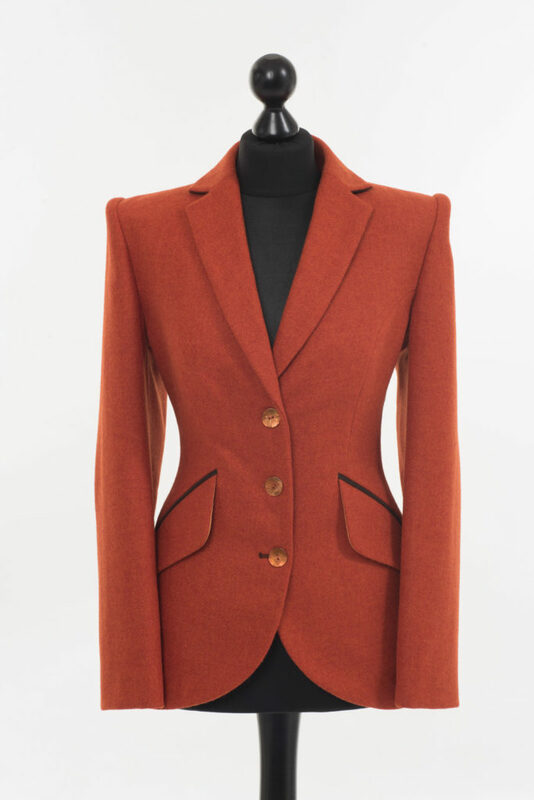 Cross pockets with button fastening and contrast detail.